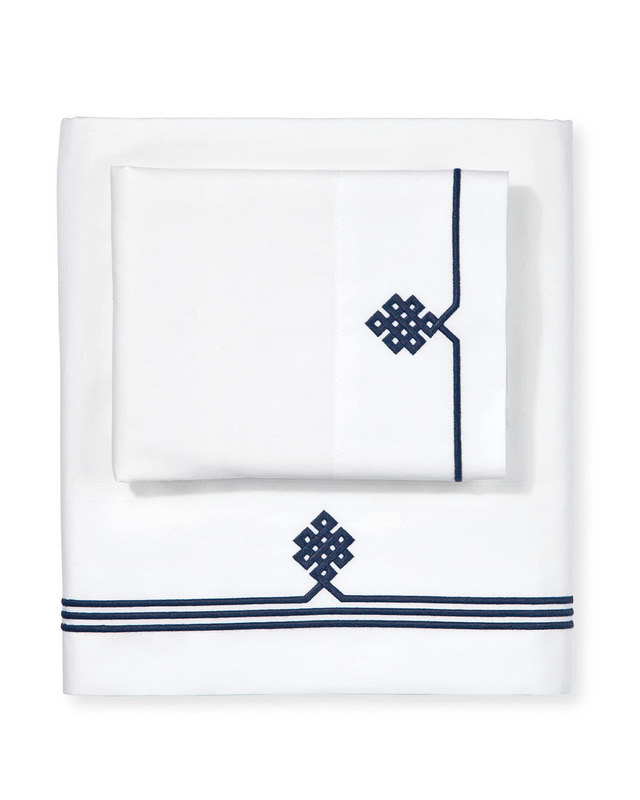 Gobi Embroidered Sheet SetGobi Embroidered Sheet Set, Navy alt="Gobi Embroidered Sheet Set, Navy"
Print We’ve added our signature twist to classic white bedding, with a simple adornment representing the endless knot of wisdom. 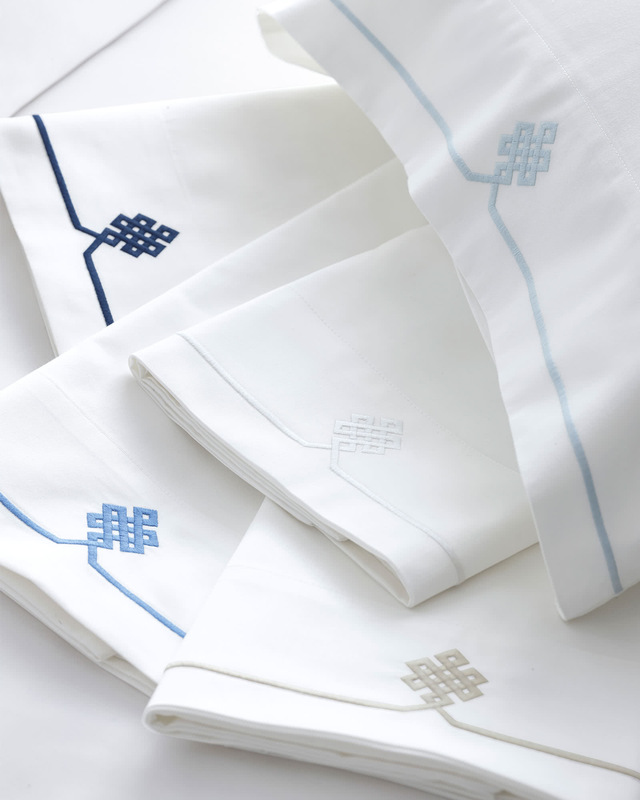 Embroidered onto luxe, eco-friendly cotton sateen, it offers the perfect dose of color and pattern – just enough to add interest without being overpowering. A subtle sheen and smooth hand lend elegance. 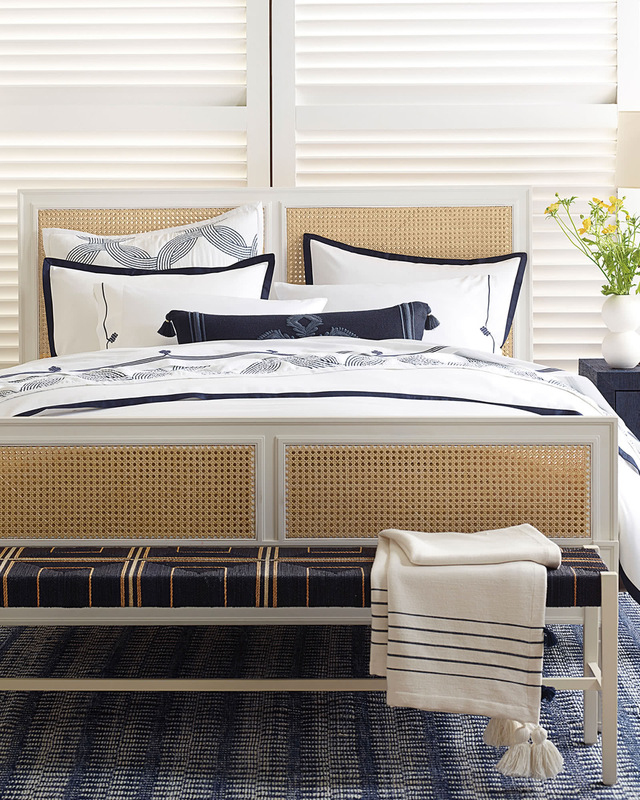 For dreamy flexibility, we created a palette that works well with other pieces in our collection. The result? 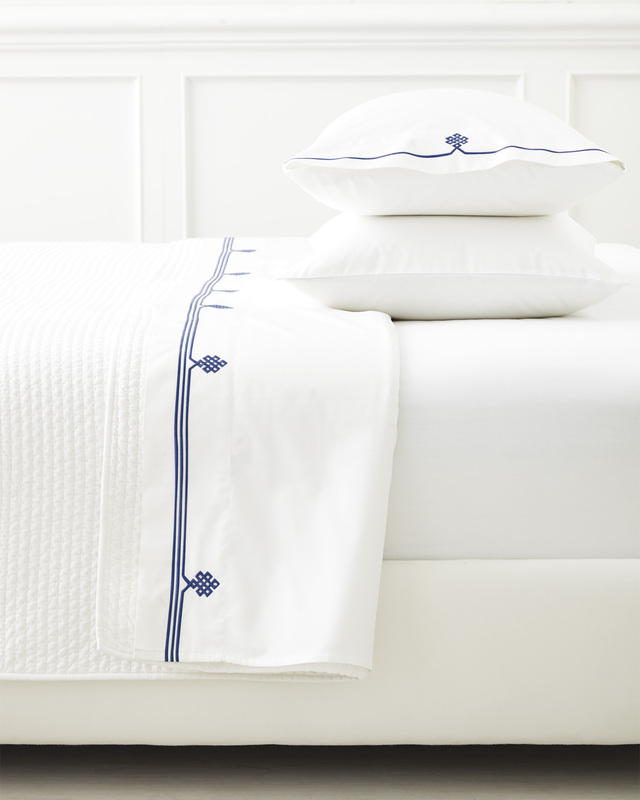 Bedding that layers like a dream and looks as good as it feels.